Erwin’s father came from a Bavarian family which generations before had settled in Vienna. He was a highly gifted man with a broad education. After having finished his chemistry studies, he devoted himself for years to Italian painting. After this he took up botany, which resulted in a series of papers on plant phylogeny. From 1906 to 1910 he was a student at the University of Vienna, during which time he came under the strong influence of Fritz Hasenöhrl, who was Boltzmann’s successor. 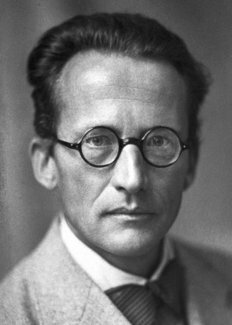 It was in these years that Schrödinger acquired a mastery of eigenvalue problems in the physics of continuous media, thus laying the foundation for his future great work. Hereafter, as assistant to Franz Exner, he, together with his friend K. W. F. Kohlrausch, conducted practical work for students (without himself, as he said, learning what experimenting was). During the First World War he served as an artillery officer. In 1920 he took up an academic position as assistant to Max Wien, followed by positions at Stuttgart (extraordinary professor), Breslau (ordinary professor), and at the University of Zurich (replacing von Laue) where he settled for six years. In later years Schrödinger looked back to his Zurich period with great pleasure – it was here that he enjoyed so much the contact and friendship of many of his colleagues, among whom were Hermann Weyl and Peter Debye. It was also his most fruitful period, being actively engaged in a variety of subjects of theoretical physics. His papers at that time dealt with specific heats of solids, with problems of thermodynamics (he was greatly interested in Boltzmann’s probability theory) and of atomic spectra; in addition, he indulged in physiological studies of colour (as a result of his contacts with Kohlrausch and Exner, and of Helmholtz’s lectures). His great discovery, Schrödinger’s wave equation, was made at the end of this epoch-during the first half of 1926. It came as a result of his dissatisfaction with the quantum condition in Bohr’s orbit theory and his belief that atomic spectra should really be determined by some kind of eigenvalue problem. For this work he shared with Dirac the Nobel Prize for 1933. In 1927 Schrödinger moved to Berlin as Planck’s successor. Germany’s capital was then a centre of great scientific activity and he enthusiastically took part in the weekly colloquies among colleagues, many of whom “exceeding him in age and reputation”. With Hitler’s coming to power (1933), however, Schrödinger decided he could not continue in Germany. He came to England and for a while held a fellowship at Oxford. In 1934 he was invited to lecture at Princeton University and was offered a permanent position there, but did not accept. In 1936 he was offered a position at University of Graz, which he accepted only after much deliberation and because his longing for his native country outweighed his caution. With the annexation of Austria in 1938, he was immediately in difficulty because his leaving Germany in 1933 was taken to be an unfriendly act. Soon afterwards he managed to escape to Italy, from where he proceeded to Oxford and then to University of Ghent. After a short stay he moved to the newly created Institute for Advanced Studies in Dublin, where he became Director of the School for Theoretical Physics. He remained in Dublin until his retirement in 1955. All this time Schrödinger continued his research and published many papers on a variety of topics, including the problem of unifying gravitation and electromagnetism, which also absorbed Einstein and which is still unsolved; (he was also the author of the well-known little book “What is Life?”, 1944). He remained greatly interested in the foundations of atomic physics. Schrödinger disliked the generally accepted dual description in terms of waves and particles, with a statistical interpretation for the waves, and tried to set up a theory in terms of waves only. 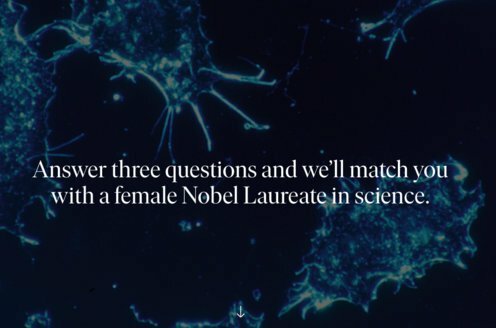 This led him into controversy with other leading physicists.